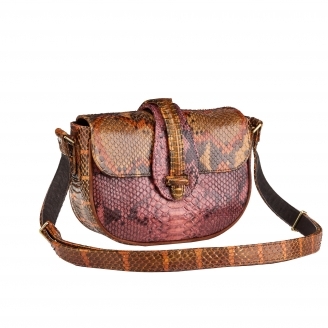 This stiff crossbody shaped shoulder bag has ideal dimensions to accompany you day and night. 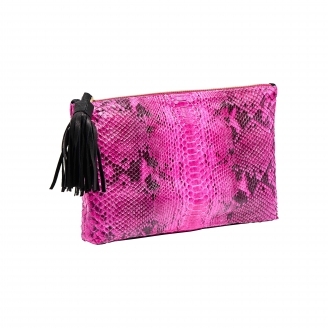 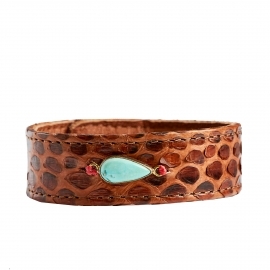 It is made of three materials: leather, suede and Water snake. 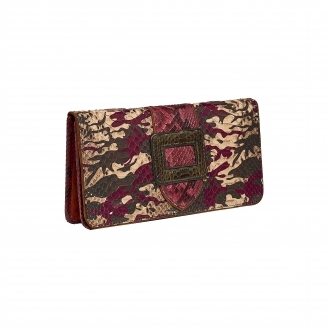 Its central pocket allows to slip in a mobile phone for example. 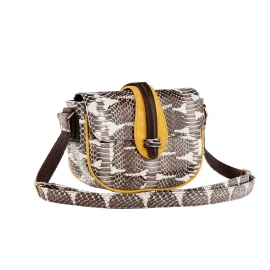 Its adjustable shoulder strap allows you to choose the ideal length. 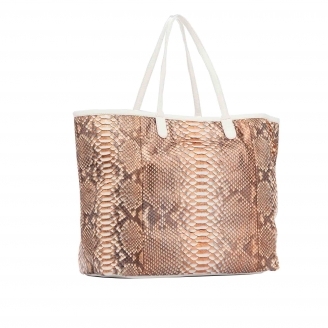 This bigger shoulder bag is 100% water snake manufactured. 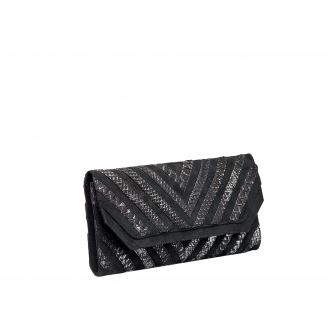 It has an handcrafted chain and thanks to all the ranging pockets i twill make your life easier. 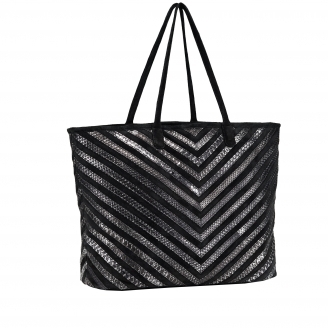 It has the perfect fit and look for an overbooked day. 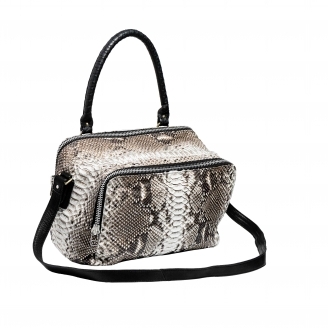 This padded 100% python shoulder bag is provided with studs for a more rocky look. 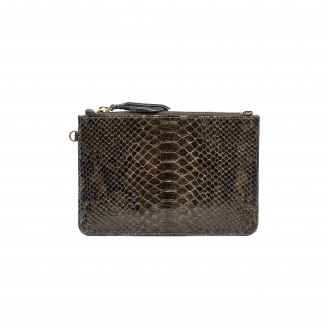 His very nice chain makes it suitable for day and night. 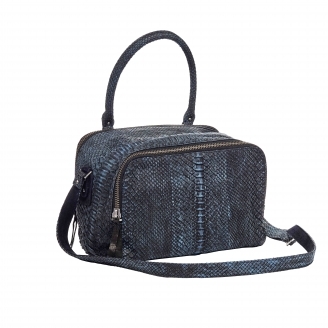 It opens on a structured and compact interior, spacious enough to hold your wallet and your keys. 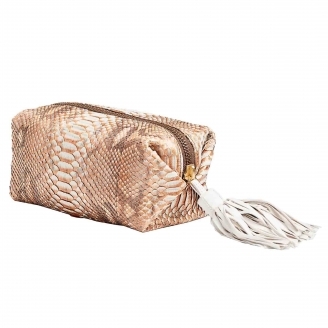 The front pocket will be perfect for your cell phone. 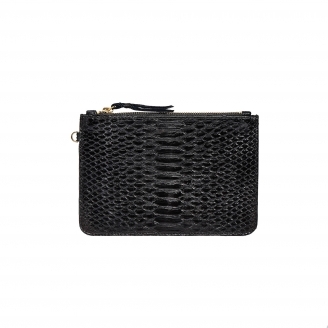 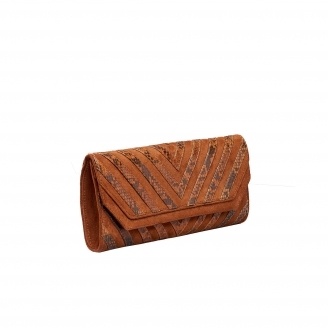 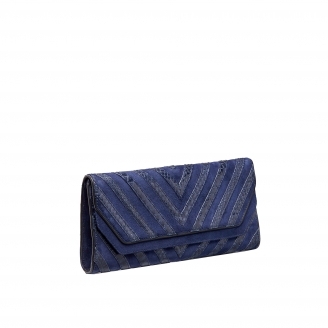 This envelop bag medium size has a very structured form, that is elegant and ultra feminine. 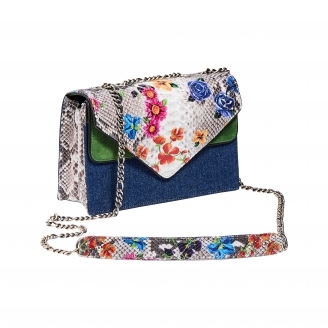 Its curb chain can change the bag's look in one second : worn it across the shoulder or double the chain for a chicher look. 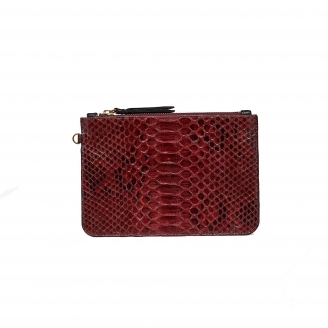 The interior is divided in three parts, with a zipped pocket to slip your phone inside. 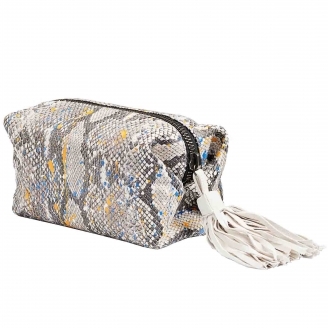 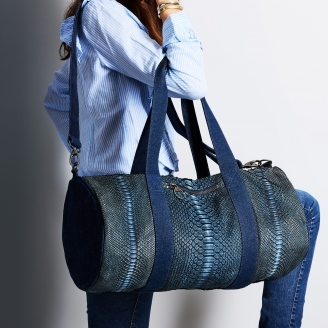 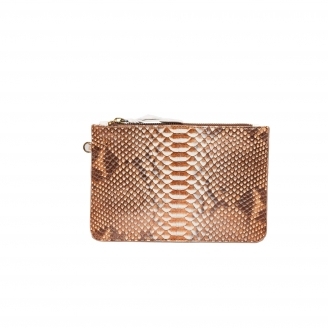 This shoulder bag in jean, water snake and python comes with a curb chain.It is sober, chic and it opens up on a unique compartment thanks to its envelope-shaped flap, to give the bag a modern look. Its proportions are ideal for storing all your essentials. 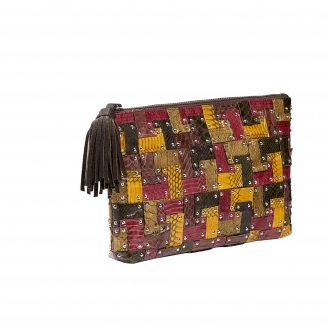 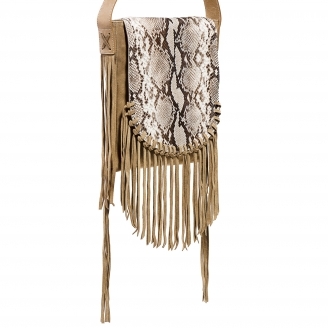 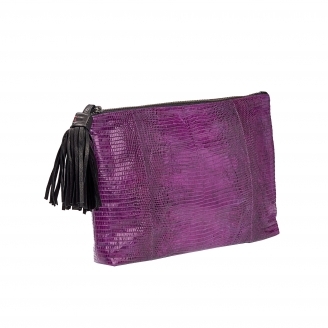 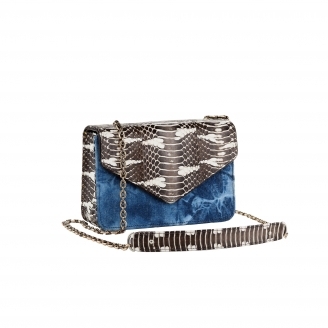 This souple fringes shoulder bag, in suede and python leather, captures the season's bohemian spirit. 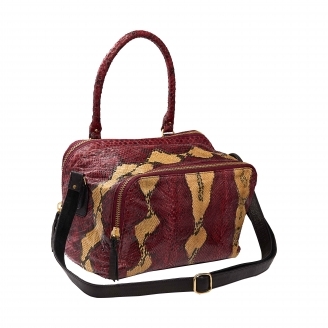 You'll also appreciate it's large capacity which gives it a certain practicality. 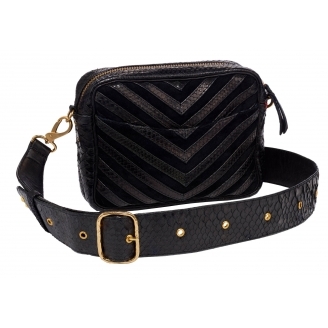 Wear it cross body, with his ajustable shoulder strap.